America’s small business owners create jobs, original products, and services, and these entrepreneurs make things happen for their companies – even during the rough times. What you might not know about half of small businesses, though, according to the Small Business Administration, is that they are run from home. Running a business from home can be a simple undertaking if you take the right steps to start. There is no end to the types of businesses that are run from homes, and they can range from providing financial services to selling art and antiques on Etsy or eBay. In all honesty, you are very much unlimited when it comes to the type of business you want to run from your home. In order to execute it, the most important aspects are to have the right tools to reach the right audiences, while also having the best tools to actually run the business. If you are one of numerous Americans who run their small business from home or if you’re thinking about starting a small business from home, there are a few ways that Global Call Forwarding can help your business grow. Purchasing virtual phone numbers from Global Call Forwarding can help small businesses establish a presence in places the business cannot physically be in. The numbers act as a point of contact between customers and businesses. The following includes a list of ways virtual numbers can benefit your business from home with maximum efficiency. Having a virtual phone number attached to your home phone, cell phone, desktop, or tablet gives you the freedom to take work calls on your personal devices without having to give out your personal phone number. Now you have the choice and ability to walk away from your office phone without eliminating communications. No one can be available 24 hours a day, but having a virtual phone number gives you access to many features. You can choose what time your business hours are, and then you can set up a voicemail message to let your customers know what time those business hours are or direct them to leave a message. Not only can you set up a personalized business voicemail, but you can also set your hours by visiting your account page and updating your settings. That way you won’t have to be bothered when you’re sitting down to dinner. Your customers won’t think its professional that you have a crying toddler in the background or a barking dog every time the mailman walks up to the house. If you run a business from home you may run into problems occasionally, and luckily that’s what the Hold Button is for. Once you’ve soothed your crying toddler or saw the mailman safely make his way to the next house, you can return to your call. You also have the option to transfer the call to another phone. If you run your business with another person or have someone working for you, you can simply dial their extension and forward the call over. Your small business will seem like it has all the bells and whistles of a large corporation. Global Call Forwarding offers local ringback tones for anywhere in the country. The familiar ringing tones in each country are different from one to the next. Customers calling from other countries will prefer to hear their local ringtone, and you can customize your phone line to give them exactly that. The Call Recording features will benefit your business in numerous ways. Being able to record calls and play them back will help you with your customer service skills. You will start to learn what works and doesn’t work and change your approach accordingly. It also helps when training a team of people, that way everyone can have a script of what they will say to customers. In the event of a legal situation, which is an unfortunate situation that businesses may have to deal with at some point, you can use the recorded phone call as evidence on your behalf. This feature allows you to route your calls to the device of your choosing when convenient. For example, if you normally work at a desk in your home, but step out to go to lunch or pick your children up from school, you can get your phone calls routed to your cell phone when you are away from your desk. You can also reroute your calls to an automatic voicemail message if you like to work within certain business hours. This automatic rerouting allows you to be present with your business as much as you would like to be, at your convenience. Running a small business from your home has never been easier than it is today. Your time is precious, and you deserve the freedom to work from wherever you want to be. Global Call Forwarding will help you on your way to expanding your business while looking professional and making the most of your time. Developing effective networking skills is an important way to build your business or organization. Networking involves more than just attending mixers and local business meetings, though these can be useful. These tips will help you develop excellent networking skills and avoid the most common pitfalls when you’re developing business contacts. At the outset, it’s important to ask yourself what your goals are. That way you will pick network meetings that will help you achieve what you’re looking for. Networking groups can be quite diverse. For example, some may be focused on learning certain business skills, whereas others are intended specifically for making contacts. Remember that networking is about being genuine. Be sincere and work to build trust with the people you meet. Talk to your new contacts about how you can help them. Networking is not just about exchanging business cards, it’s about sharing ideas and skills, and building relationships based on mutuality. Not only does volunteering allow you an opportunity to meet new people within your community, it is also a great way to learn new skills and gain insight into different businesses and career situations. Additionally, you will gain satisfaction from knowing that you’re giving something back to your community. Always be prepared when you attend a networking event. Bring along plenty of business cards and a small notebook and pen. Make sure you are fully aware of the nature of each particular event and think about what you expect from it. For example, do you want to make new contacts or to strengthen an existing relationship? Remember to ask the host about the dress code, some events may be business formal while others may be more casual. If you know in advance, it will ensure that you feel comfortable within the group. Make sure you have a clear understanding of your role in business and how you can use your skills to help others. In order to get referrals, you must be able to articulate what you can do for the other people at your networking meetings. Also take some time to think about what you are looking for, and how people you meet may be able to help you. It’s best to arrive a little early when the group of attendees is still relatively small. Always enter the room with a smile so that others will find you easy to approach. Don’t isolate yourself among just the people you know; mingle and greet other attendees. When you meet a person for the first time, shake their hand. As you are talking to them, listen attentively and sum up your personal details succinctly. Make sure you say their name several times during the course of your conversation, this will help you hold their attention and to remember their names. Ask questions that will help you evaluate whether the person will be a useful contact for you and you for them. Try to spend no more than ten minutes talking to each person, this will give you time to circulate the room. Exchange business cards and take notes after you have finished talking to help you remember what each person has said. If you have collected a number of business cards from the networking event, make sure that you follow up with each person within 48 hours; otherwise, your new contacts are likely to forget who you are. If you want to strengthen your newly-forged relationships, call the individual and invite them to lunch. As you add future networking events, add some time in afterward in case you want to have a follow-up meeting with any new or current contacts. Don’t expect too much too soon. Take plenty of time to establish each relationship through follow-up meetings or communications. If you try to rush or put pressure on contacts, you will lose them, and that may cost you other referrals down the road. A lack of professionalism: Spend some time improving your brand image. Take a look at your website and social media platforms and make sure they express your professional persona. Too much vagueness: Don’t fall into the trap of not being specific about your skills when you meet new contacts. Make sure they know exactly who you are and what you have to offer. A Lack of Patience: Business relationships can be fragile things, particularly in the early stages of formation. Don’t be in a hurry to toss out your pitch. Be patient, and focus on the other person for a while and look for ways in which the two of you can connect. A lack of politeness: You may be surprised to know that one of the most common mistakes in networking is forgetting to say thank you. Not expressing your gratitude can present a very negative impression and undermine all your hard work. This is a really simple way to keep things on the positive. Insufficient face-to-face contact: While the internet is a convenient way to network, don’t underestimate the value of personal contact. Are your Networking Skills Adequate? Can you broaden the resources you already have? Are you involved with networking groups that interest you, and where you can make a contribution? Do you go to network meetings prepared? Are you confident that you communicate well? Do you follow up with new contacts within the first 48 hours? If you answered no to three or more of these questions, you probably need to develop more effective networking skills. Consider how you can broaden your resources by finding out about different networking groups in your area. Make sure you attend meetings equipped with your business cards and bring your passion and enthusiasm to the table. Be open to possibilities regarding what you get from the meeting. Don’t forget to follow up with contacts within the first 48 hours; or they are most likely to forget you. Canada is a federal parliamentary democracy. However, its constitution recognizes the king or queen of the United Kingdom as its Head of State. The Head of Government is Prime Minister Justin Pierre James Trudeau, and Governor General Julie Payette represents the Head of State, Queen Elizabeth II. Canada is located in North America, its capital is Ottawa, and the administrative divisions include 10 provinces and three territories*: Alberta, British Columbia, Manitoba, New Brunswick, Newfoundland and Labrador, Northwest Territories*, Nova Scotia, Nunavut*, Ontario, Prince Edward Island, Quebec, Saskatchewan, Yukon*. The estimated population of Canada in 2017 was 36,708,100. Also in 2017, there were 14,987,520 fixed telephone lines (i.e., landlines) and 30.45 million cell phones. Global Call Forwarding sells the largest selection of local, mobile, and toll free numbers in Canada. The numbers have instant activation with commitment. The local and mobile numbers are SMS optional. Your customer dials the number. Global Call Forwarding routes the call to your phone anywhere in the world. You receive the call on your phone or business telephone system. All of these numbers are toll free to callers. Select Canada as the country. For a toll free number, select a prefix and then select a number. For a geographic number, select a locale, choose the SMS capability if desired, select a city, and select a number. Global Call Forwarding offers local and mobile numbers in Alberta, British Columbia, Manitoba, New Brunswick, Newfoundland & Labrador, Nova Scotia, Ontario, Quebec, and Saskatchewan. The following graphic is an area code chart for Canada. An overlay is an area code that covers a region currently assigned to other area codes. The subsequent paragraphs discuss each province or territory, its population, landline estimate, and cell phone estimate. The basis for the telephone estimates is configured by the provinces or territories’ percentage of Canada’s population multiplied by the total number of landlines or cell phones. Alberta lies east of British Columbia, west of Saskatchewan, and south of the Northwest Territories. To the south, it borders the US state of Montana. Its capital is Edmonton, and its largest city is Calgary. Tourist destinations in Alberta include Banff, Canmore, Drumheller, Jasper and Sylvan Lake. Alberta’s 2017 population was 4,286,100, and it had 1,749,968 landlines and 3,555,394 cell phones. British Columbia borders the Pacific Ocean and Alaska to the west, Alberta to the east, Yukon and the Northwest Territories to the north, and the US states of Washington, Idaho, and Montana to the south. Its capital is Victoria, and its largest city is Vancouver. British Columbia has a diverse economy with service industries dominating its GDP. Its 2017 population was 4,817,200, and it had 1,966,811 landlines and 3,995,950 cell phones. Manitoba borders Saskatchewan to the west, Ontario to the east, Nunavut to the north, Hudson Bay to the northeast, and the US states of North Dakota and Minnesota to the south. Winnipeg is Manitoba’s capital and largest city. Agriculture, energy, forestry, mining, oil, and tourism dominate Manitoba’s economy. Its 2017 population was 1,338,100, and it had 546,332 landlines and 1,109,977 cell phones. New Brunswick borders Quebec to the northwest and the Atlantic Ocean to the northeast. The isthmus of Chignecto connects New Brunswick to Nova Scotia on the east. The Bay of Fundy is to the southeast, and the US state, Maine, is to the southwest. New Brunswick’s capital is Fredericton, and its largest city is Moncton. Its economy depends upon agriculture, fisheries, forestry, mining, and tourism. Its 2017 population was 759,700, and it had 310,177 landlines and 630,184 cell phones. The province of Newfoundland and Labrador consists of Labrador on the mainland and the Island of Newfoundland in the Atlantic Ocean. Labrador borders Quebec to the southwest with the Atlantic Ocean on all other sides. Newfoundland Island lies southeast of Labrador. St John’s, on Newfoundland Island, is the capital of the province and its largest city. The economy depends upon mines and quarries in Labrador, oil production from offshore platforms, the fishing industry; in Newfoundland, there are paper and lumber mills and agriculture. Tourism is also important during the months of June through September. The province’s 2017 population was 528,800, and it had 215,903 landlines and 438,649 cell phones. The Northwest Territories border on Yukon Territory to the west, the Beaufort Sea and Arctic Ocean to the north, Nunavut Territory to the east, and the provinces of British Columbia, Alberta, and Saskatchewan to the south. Its capital and largest city is Yellowknife. Its economy depends upon its natural resources, which include gold, diamonds, natural gas, and petroleum. The Northwest Territories’ 2017 population was 44,500, and it had 18,169 landlines and 36,914 cell phones. Nova Scotia lies southeast of New Brunswick, and water surrounds the Nova Scotia peninsula: the Gulf of St Lawrence to the north, the Atlantic Ocean to the east, the Gulf of Maine to the southwest, and the Bay of Fundy to the west. Nova Scotia’s capital and largest metropolitan area is Halifax. Nova Scotia is the world’s largest exporter of Christmas trees, lobsters, gypsum, and wild berries. Other sectors of its economy include defense and aerospace, the film industry, tourism, information and communications technology, and Michelin tires. The province’s 2017 population was 953,900, and it had 389,467 landlines and 791,276 cell phones. Nunavut Territory constitutes the major portion of northwest Canada and of the Canadian Arctic Archipelago. It borders the Northwest Territories to the southwest, Manitoba to the south, Hudson Bay to the east, and the Arctic Ocean to the north. Its capital and largest city is Iqaluit. Mining, along with oil and gas exploration dominate the economy, which also depends upon arts and crafts, hunting, fishing, whaling, and the New Canadian High Arctic Research Station. The territory’s 2017 population was 38,000, and it had 15,515 landlines and 31,522 cell phones. Ontario is the most populous province in Canada. It is home to Canada’s capital, Ottawa. Toronto is the provincial capital and its largest city. Manitoba lies west of Ontario, and Hudson Bay and James Bay are to the north. Quebec is to the northeast and east, and five US states, Minnesota, Michigan, Ohio, Pennsylvania, and New York are on Ontario’s southern border. Ontario’s economy includes manufacturing, power generation, natural resources, and auto production. The largest single employer in the national capital region is Canada’s Federal Government. The province’s 2017 population was 14,193,400, and it had 5,795,012 landlines and 11,773,669 cell phones. Prince Edward Island (PEI) is the smallest province in land area and population. However, it is the most densely populated province at 25.25 persons per square kilometer. Its largest city and capital is Charlottetown. PEI lies in the Gulf of St Lawrence north of the Nova Scotia peninsula. Agriculture, the fishery, and tourism are the basis of its economy. The province’s 2017 population was 152,000, and it had 62,060 landlines and 126,087 cell phones. Quebec is the only province with a predominantly French-speaking population. Its capital is Quebec City, and its largest city and metropolitan area is Montreal. Natural resources, aerospace, information and communications technology, biotechnology, and the pharmaceutical industry drive Quebec’s economy. Quebec borders: to the west, Ontario, James Bay, and Hudson Bay. At the north, Hudson Strait and Ungava Bay, to the east, the Gulf of St Lawrence and Newfoundland and Labrador. To the south, Quebec borders New Brunswick and the US states of Maine, Vermont, New Hampshire, and New York. The province’s 2017 population was 8,394,000, and it had 3,427,179 landlines and 6,962,967 cell phones. Saskatchewan is a landlocked province with Alberta to the west, Northwest Territories to the north, Manitoba to the east, and the US states, Montana and North Dakota, to the south. Its capital and largest city is Saskatoon. Saskatchewan’s has a diverse economy. Service industries account for 41.3%. The remainder of the economy includes mining and petroleum (13.0%), wholesale and retail trade (11.7%), transportation, communications, and utilities (9.1%), manufacturing (7.7%), agriculture, forestry, fishing, and hunting (6.8%), construction (5.1%), and other (5.3%). The province’s 2017 population was 1,163,900, and it had 475,208 landlines and 965,475 cell phones. Yukon borders Alaska to the northwest, the Beaufort Sea to the north, the Northwest Territories to the east, and British Columbia to the south. Whitehorse is its capital and only city, although there are also seven towns: Carmacks, Dawson, Faro, Haines Junction, Mayo, Teslin, and Watson Lake. Yukon’s economy consists of mining, tourism, manufacturing of furniture, clothing, and handicrafts, hydroelectricity, and trapping and fishing. The territory’s 2017 population was 38,500, and it had 15,719 landlines and 31,936 cell phones. Working at a desk all day long does not seem physically taxing at first. You are only sitting, right? Yes, but sitting for hours at a stretch comes with its own share of drawbacks. And we all know, being sedentary is far more dangerous than being active. It eventually leads to our bodies being incapable of performing important physical tasks. With virtual offices on the rise and an increasing number of people choosing to work from home, a vast majority of employed people now spend their days hunched over a desk in front of a monitor. The result? Nearly 80 percent of Americans suffer from lower back pain, stiff neck, and other joint pain because of a sedentary lifestyle. Even when you exercise every day for an hour or two, the long hours spent at a desk can still be detrimental. According to a study, spending eight to 12 hours sitting down daily can lead to high rates of heart disease, cancer, and diabetes. Considering there are millions of people who go through decades of their life in this scenario, the findings are alarming. But all is not hopeless. It is possible to survive long hours working at a desk if one is willing to add a little change in the routine. These following tips help counteract the negative effects of a sedentary job. More often than not, the reason for lower back pain is using the wrong chair. The chair that you use at home or the office may be either too low or too high, causing you to strain your neck as you look at the monitor. The remedy? An ergonomically designed chair that’s just the right height to the desk. You might need to try out a few different chairs to find the perfect one, but once you do, it may be the answer to your aches and pains. Once you have found the right chair, it will be time to adjust the height of your desk and the monitor. Most of the time, a desk that is either too low or too high, can cause aches and pains. Make sure you are looking straight at the monitor and not bending or hunching over the desk. You don’t need any fancy equipment; just placing your computer atop a few books should do the job. Counter the debilitating effects of prolonged sitting by getting a standing desk. Research shows that you can burn up to fifty extra calories every hour just by working at a standing desk, instead of sitting down. Although it doesn’t seem like a big deal, standing actually helps improve your posture and strengthens your legs. Considering the amount of time we spend sitting, using the same time to stand will burn so many more calories. Adjusting the height of your monitor is all you need to do. While sitting and working at a desk for long hours, we often lose track of time. We forget to get up and walk at frequent intervals, leading to stiff neck, joint pain, and backache. Whether you work from home or from an office, it is important to get up and walk around to avoid muscle stiffness. To make sure of this, implement the use of regular reminders via apps on your phone or computer that will remind you every couple of hours to leave the chair and walk around. Going for a walk during your lunch break is also a good way to keep active and loosen your muscles. Cars ruin our health more than we realize. If you commute to and from work daily, you may spend more than two or three hours sitting down every day. If possible, walk or try to bicycle to work sometimes to counteract the negative effects of sitting down. Both cycling and walking are great exercises for the body, and if your office is close by, ditching your car for your bike is a great way to save gas and incorporate a workout into the routine. Instead of sitting and watching TV on a sofa, bring your treadmill out of retirement and place it in front of the television so you can use that time more constructively (and enjoyably) while watching a fantastic show. This will make sure that you get to watch TV only when you are walking, maximizing your time while taking care of your body. If you don’t have exercise equipment, walk around the room or march in place while watching TV. Not being a couch potato will not only keep you active but also reduce your chances of cardiac problems. After working at a desk the whole week, schedule a family walk or hike during the weekend. This is a fantastic way to keep yourself active and help your muscles relax after a sedentary week. It’s also an ideal way to spend some quality time with your family. The average American is highly accustomed to sitting down. In fact, our bodies are trained to be seated – while eating, watching TV, and working. Even if you exercise every day, sitting long hours at a desk can negate all the benefits of exercise. For some perspective, there is a rural village in China known as the Longevity Village where people live up to a hundred years on average because of their lifelong active habits. You don’t have to go to great lengths to be able to lead an active lifestyle. You can incorporate subtle changes in your life to balance out the harmful effects of a sedentary job. You may not be able to change the nature of your work, but you can always change the way you work. Adjusting your desk and chair, walking around every half hour, and incorporating regular exercise into your work week and weekends are excellent ways to survive long hours working at a desk. Did you know that 3 million employees in the U.S. quit their job voluntarily every single month? It’s not too surprising when you think about it. Many employers are unaware, or too busy to notice there are often company-wide bad habits that drive good employees to their competitor’s front door. When workers don’t feel comfortable in a certain setting or are unhappy with their position, costly mistakes are more likely to happen. Instead, the focus needs to be placed on motivating employees at all levels, from interns to middle management and beyond. A truly successful enterprise is one that recognizes the importance of their workers and actively works to keep them. Not just for their talents and hard work, but their personal health and happiness. Here are 7 different opportunities you can take advantage of to motivate your people in a positive work environment. When employees speak up about a certain issue, it’s best to listen. This has to do with good communication. If your company communicates well, then workers feel listened to and cared for. For instance, let’s say that one of your teams is asking for more training or tools to help them with tasks. Instead of saying “we don’t have a budget for this,” schedule a meeting with everyone involved to come up with an alternative solution. While it may be difficult to resolve every single problem they face, you must at least recognize their concern. This is because even “small” problems can snowball into bigger ones in the future, so try not to ignore them for too long. This could result in a top employee leaving your company. Have you ever gotten an employee’s opinion on a process? When workers are more involved and offer input, they are naturally motivated to see a project succeed. So create a culture where employees are encouraged to participate. Ask them how they feel about certain policies and how things can be improved. You would be surprised how many of them have smart ideas already. Try to set up a monthly meeting where everyone can get together and spitball ideas. Remember, be sure to do more than just listen. Support their ideas, allow them to implement them and have ownership of them as well. How often have you worked in an office where, if something went wrong, everyone would start pointing fingers? This is a direct reflection of upper management. When employees make a mistake, they become anxious about getting reprimanded and are less likely to be open about it. Instead, hire managers and team leaders who are willing to foster trust. They should encourage values such as respect, honesty, and teamwork on a regular basis. This way, when a mistake is made, workers can feel confident about going to their leaders for support. They can also work together on a plan for preventing that mistake in the future. When a person walks into a company interview, chances are you are going to ask the question, “Where do you see yourself in 5 years?” Well, how are you helping them get there? Most people enter the workforce with a goal. Complacent or “bored” employees have short attention spans and are more likely to leave if their goals aren’t met. Regular training, new challenges, and bigger projects are just a few of the ways to support employees professionally. Offer top workers a chance at real development in your company. Send them to a career fair or conference where they can grow their skills. Have a quarterly review where they can make their own recommendations for how they will grow over the next few months. As they develop into their roles, you are more likely to retain them. According to the 2014 TINYpulse Employee Engagement and Organizational Culture Report, “Nearly two-thirds of all employees report working at organizations that lack a strong work culture.” Being able to sit regularly with workers in a casual setting will go a long way in developing a culture they enjoy. Not only that, celebrations enable employees to want to reach new milestones on their own. Offices will have many strict rules about when employees can take breaks, how many days they can have off, and may even dictate acceptable times to use the restroom. While having office “rules” to a certain extent is actually very healthy, workers should never have to feel worried or anxious about when they can leave their desk. This kind of burden does not offer them a chance to attend to their personal lives. And as a result, they end up quitting. Instead, work with them and put into place a flexible work schedule that meets their needs. With changing times come changing requirements and changing technology. There was once a time when phone communication was the only means to contact another individual or business. Long-distance communication was expensive and beyond the reach of most people. Small and medium businesses couldn’t afford to invest in long-distance communication either. Only big enterprises with a lot of money to spare had access to telephone systems for international calling. Otherwise, most other people stayed local or preferred to write mail. Email and chat features affected the popularity of telephones to some extent, but virtual communication systems restored the telephone’s significance and made it accessible and functional for the modern business. With the help of virtual numbers, international calling became cheaper and more convenient. In fact, many businesses have switched to virtual phone systems because they cut down on phone bills. Unlike normal phone systems, a virtual phone system is based on the internet and enables you to make calls from any computer or mobile device. They are also known as cloud systems and they provide mobility, flexibility, and a wide array of features that weren’t imaginable with traditional phones. Despite this, however, there are several offices where traditional landline phones are still in use, but they don’t serve any purpose other than sending and receiving calls. Most landline phones aren’t even capable of international calling. With instant communication like text messages so popular these days, a landline does seem unsmart sometimes. So how do you make a landline smarter? By activating landline texting. There are several technological marvels these days, and landline texting is one of them. Sending text messages to a landline number was quite unthinkable even up until a few years ago. Now, it is not only possible, but it is also widely in use by businesses and individuals. Landline texting is offered by messaging service providers who specialize in business texting. Your landline can be equipped to send and receive text messages and multimedia messages by being text-enabled. Once this service is activated on your landline number, you can use it to send and receive text messages from mobile numbers. Besides that, you also get a range of other features that add to the intelligence of your landline. With landline texting, you can enable remote communication thanks to its web-based capability. Are you wondering how you will be able to read messages on a landline? You can’t. Instead, the messages will be converted to voice messages before being sent to your phone. Similarly, when you need to send someone a text from your landline, you leave a message and it will be converted to a text. Landline texting is a virtual service, and it is offered by several leading telecom operators. All you have to do is get the service activated on your number by registering with a telecom operator. There are different charges for different operators. You usually have to pay a one-time fee and then a rental fee every month. Most plans are flexible and you can cancel at any time. The best aspect of landline texting is that you don’t need any additional equipment or hardware to get started. You don’t need to download a software program or change your service provider or get any expensive hardware installation. Once you subscribe, you get a web-based user panel to manage, send, and received SMS and MMS messages. By enabling texting on your landline phone, you get to enjoy benefits that otherwise aren’t possible with traditional phone systems. In fact, by text-enabling a landline, you can turn it into a complete business communication strategy. Contact management: Usually on a landline phone, there is no way to group or manage your contacts. So you end up maintaining a physical phone book in order to keep your contacts in one place. When you enable landline texting, you can group and manage your contacts from the web-based dashboard. This also saves time when texting people. Scheduled messaging: Quite often you need a message to be sent at a particular time, but for some reason, this is not available at the time. In such cases, scheduled messaging is a great option. You have to record the message and set the time when it is to be sent. The text will be sent at the scheduled time without you having to be available at that time. This saves time and makes messaging even more convenient. Custom signature: With landline texting, you also get the option of setting a customer signature that appears after every message you send. This is an excellent way to promote your business and it can be used as part of a marketing strategy. Group messaging: Not only can you manage and group your contacts, with landline texting you can also send a single message to more than one person. This is a feature that is typically available on mobile phones, but not on landlines. When you text-enable your landline, however, you will then get to enjoy this feature. Reports: You get to keep track of all your sent and received messages with the help of the web-based dashboard. When you’re sending and receiving business messages or using texting as part of a marketing campaign, keeping track of text messages is critical. It lets you know how successful your campaigns are. Landline texting is service-activated in as little as 24 hours upon subscription. When you text-enable your landline phone, you are able to use the line for much more than just calling. You will then get to use the landline to its full potential by enabling text messaging. A plenitude of businesses around the world are making landlines smarter by enabling landline texting service. Simply get in touch with any landline texting service provider, subscribe to the service, and start using landline texting in just a few hours. It is an affordable, convenient, and feature-rich option for turning your landline into a viable business solution. Both a country and a continent, Australia is surrounded by the Indian and Pacific oceans. The Australian continent is comprised of the Australian mainland, the island of Tasmania and a number of smaller islands. Australia is the largest country in the region of Oceania and the world’s sixth largest country. The capital is Canberra. Other major cities include Sydney, Brisbane, Perth, Melbourne, and Adelaide. Australia is a self-governing British Commonwealth country. The government is a federal parliamentary constitutional monarchy. It is divided into the executive branch, the legislative branch, and the judicial branch. The Prime Minister since 2015 has been Malcolm Turnbull. Develop a winning local presence: Don’t struggle to attract customers from beyond your immediate vicinity. Often, customers outside your area may think that you are too far away to deliver a reliable service. But if you have a local virtual number, they will have no idea that you don’t have a local physical presence and they will dial your number rather than your competitor’s. Establish a market overseas: You may want to expand your business overseas, but you may not have the resources to set up an operation there. A virtual international number allows you to run your business overseas while you are working from your base office or even from home. If your employees have skills in other languages, you can certainly take advantage of their abilities and let them plunge into international relations, without having to make investments abroad. Boost your image: In the world of business, your image is paramount. With virtual phone numbers, you can give the impression of owning a global empire rather than a small business. This can be particularly beneficial if you are not located in a major city, as it boosts confidence with your partners, suppliers and your customers. Virtual Australian phone numbers work by providing your company with a range of local, Australian toll-free numbers and a forwarding service that reroutes your calls to the number of your choice. The number could be your office, your company call center or even your mobile phone. You can change the number at any time. Each time your Australian clients make a call, they have the ease and confidence in knowing that they are calling a local number and talking to a local company. They never need to know your physical location. They will also be happy not to have to pay long distance charges or to have the hassle of overseas dialing codes. Global Call Forwarding offers a cutting-edge service which provides Australian phone numbers as well as virtual numbers in more than 140 other countries. Once you have signed up for an Australian phone number, you can establish business connections and take calls from your customers anywhere in the world. For example, if your company is based in Canada, but you’d like to expand your business to Australia, virtual Australian phone numbers provide a point of contact for you in that part of the world. The ringtones on your Australian phone number can also be customized to match the local ringtone. 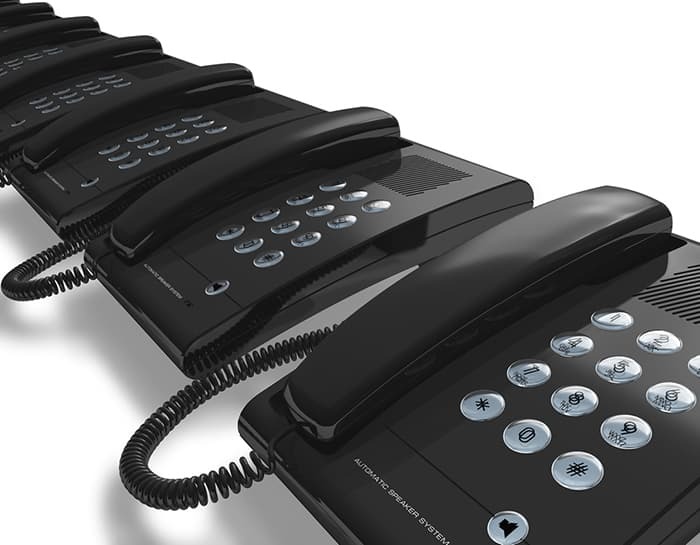 To make sure you never miss a single call, you can have your calls routed to more than one number at the same time. You can also schedule calls to be redirected to different numbers based on the time of day they are received. The Australian economy is highly developed and is one of the world’s largest mixed market economies. In terms of wealth per adult, Australia is the world’s second wealthiest nation. The nation’s economy is dominated by the service sector, which comprises 61 percent of the GDP. Some of the country’s largest companies include Woolworths, Caltex Australia, Wesfarmers, Rio Tinto Group, and Telstra. The currency of Australia is the Australian dollar. Whether you are starting out with a new business, or looking to expand your current venture, Australia has great business opportunities. The nation’s current economic state makes it very affordable and attractive to foreign investors. When it comes to business, Australia is considered to be the gateway between Asia and the Western world. Furthermore, Australia has very strong trade relationships with China. Financial industry: Australia has several valuable assets in the financial world. Its main four banks – ANZ, Westpac, Commonwealth Bank, and National Australia Bank – are all ranked in the world’s 50 safest banks. The financial sector is one of Australia’s largest industries. Metal and mining industries: The mining sector is Australia’s second largest industry due to the country’s massive array of natural resources. The country is home to many categories of the mining industry including black and brown coal mining, iron ore mining, gas and oil mining, gold ore mining, copper ore mining, and bauxite mining. Business consulting firms: Many of the world’s major business consulting firms are now based in Australia. Consulting firms fall into four categories: information technology consulting, strategy and general business consulting, sustainability consulting, and human resource consulting. Energy and utilities: Australia has huge energy assets along with outstanding natural resources such as coal, oil, natural gas, and uranium. The nation also boasts renewable energy resources. Industrial and material industry: Because this industrial sector garnered some big projects over the past decade, it was able to survive the financial crisis. Growth has been maintained in part by the New South Wales $50 billion transport plan. Healthcare and the pharmaceutical industry: This sector includes biotechnology and medical practice. Australia is currently undergoing a shortage of doctors and nurses, particularly in regional areas. Using Australian phone numbers for your business allows you and your employees to work from anywhere and reach anywhere in Australia. With virtual call forwarding, the business world is your oyster.